When you install a landline phone in the room is required not only to correctly choose the location of the telephone outlet and to connect to it wire. For this operation, you do not need to call a professional calling. Such a connection can do to anyone who is able to hold simple tools. Purchase a phone Jack. Depending on the type of plug supplied with your phone camera, choose one of the two main types of sockets: miniature or large. Also take care about the phone cable of a certain length. Cable size is determined by the distance from the proposed location of the outlet to the place where will be located the phone. 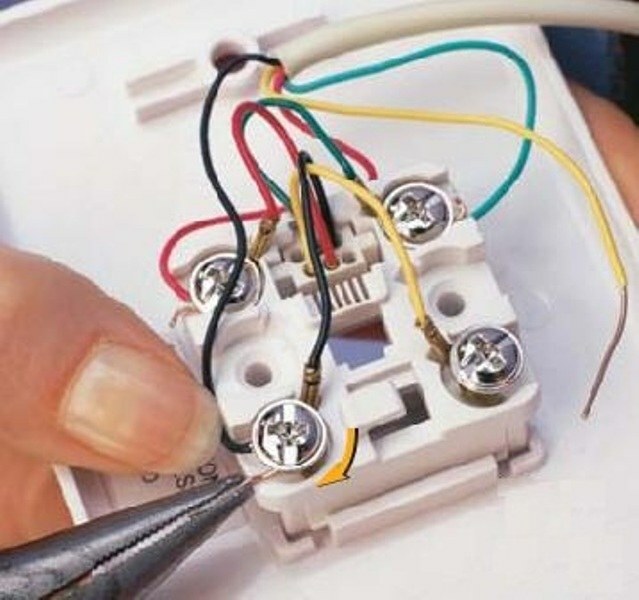 It is desirable to provide a supply of wireand in case of possible displacement of the device in the apartment. The base telephone Jack fasten the screws to the wall. Now proceed to installation of the cable. When using sockets of type RJ (registered jack) connect wireand cable to the two middle contacts and the terminal contacts Express free. If you use RTSC socket type (socket telephone plug with capacitor), disassemble the plug to start your camera and find out which contacts are connected in the wire. Guided by this diagram, connect wireand cable to the outlet. The standard connection requires that the wirewas connected to two right contacts of the socket. Connect the wireand close the housing outlet cover. If necessary, install in the premises additional phone Jack. Select a location and attach to the wall. Connect to the second outlet cable parallel to the existing one. The handset of the telephone connected in parallel on the device must be removed, otherwise with the unexpected arrival of an external call, you can get a nasty electric shock. After mounting the wireand close the connector cover and test the phone by making a test call. To connect the telephone apparatus having a removable cord, use a special telephone cord.